Pack the factor 50 because we’ve got your beach holiday sorted. Whether the kids are in tow, or you’re on a romantic break, read on for our ultimate guide to the best beaches in Spain. If you’re in need of a fun-filled fiesta, or searching for a soothing siesta, we’ve got plenty of deals to get you straight on the beach. 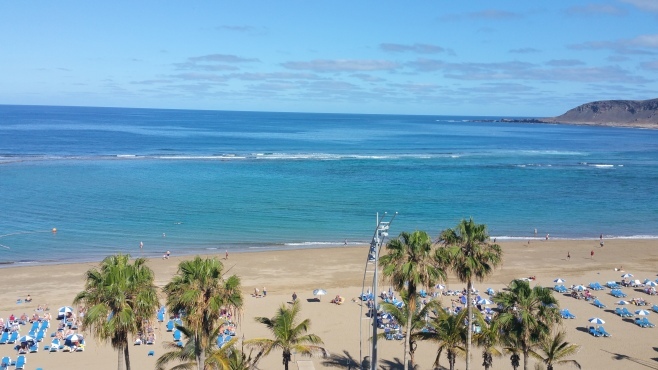 It’s all about the beaches on Gran Canaria – the third-largest offering from Spain’s Canary Islands. Thanks to its calm waters and 147-mile coast, Gran Canaria’s been a favourite with sun-seekers for years. If an urban beach is right up your street, look no further than Playa de las Canteras, in Las Palmas. Positioned right at the island’s lively heart, stylish bars and traditional tapas restaurants border this Blue-Flagged beauty. 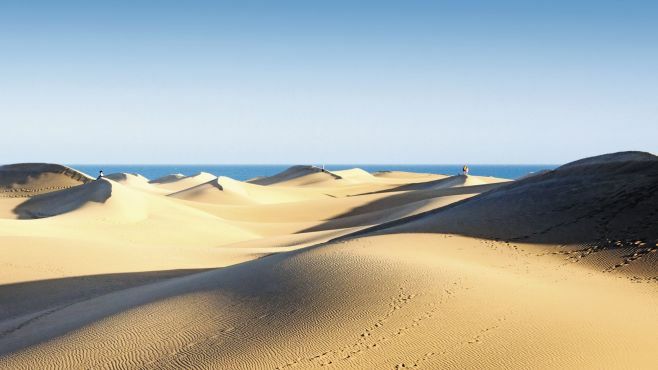 Or, if you’re after something a little quieter, make your way to Maspalomas. This place is famous for its seaside sand dunes, and you’re guaranteed elbow room on the beach. This place is perfect for peace-loving beachy types. 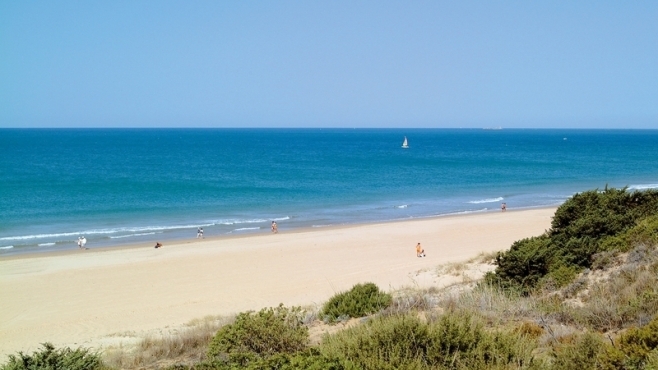 Footprint-free stretches of sand are the Costa de la Luz’s speciality. 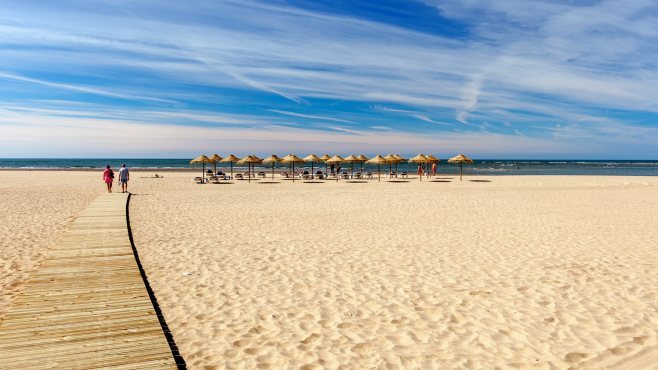 You’ll be treated to four miles of sandy beach if you pick Chiclana de la Frontera as your holiday base Plus, thanks to the nearby saltmarshes, you can take your sand with a side of wildlife. The Marismas de Sancti Petri Natural Park features the likes of flamingos and herons. Isla Canela’s another beach-bordered option. It’s separated from the mainland by canals, which are perfect for kayaking trips. But its three miles of Blue Flag-waving sand are the main draw. Think Spanish beaches, think Costa del Sol. And there’s a reason that this Costa’s famous – its beaches are top-notch. Plus, with 320 days of sunshine on the cards each year, you’ll be all set to sunbathe, whenever you jet off. In Benalmadena, you’ll find family-friendly Santa Ana, which serves up a winning combination of soft sand and shallow waters. Meanwhile, Torremolinos, which was a fishing village back in the day, lines up a busy beach speckled with sunloungers and beach bars. All set to hit Spain’s sands? Get your holiday booked. Take a look at our packing guide before you go, and if you’re after a party-heavy hol, find out why Marbella’s the place for you.